This page is under construction. We make custom cast bronze plaques in many sizes. 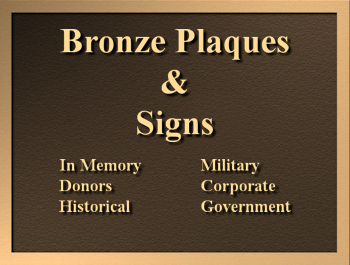 Click the link in our main menu for Bronze Plaques for more information.